Shadow anchored by Walmart, Walgreens, CVS, Food Lion, Tractor Supply and in the center of Darlington's commercial activity. Currently operated by US Money Shops Title Loan will be available for lease October 31, 2018.Tenant cost is monthly base rent of $1800 a month, utilities, renter's contents and liability insurance, pro rata share of taxes and cam. 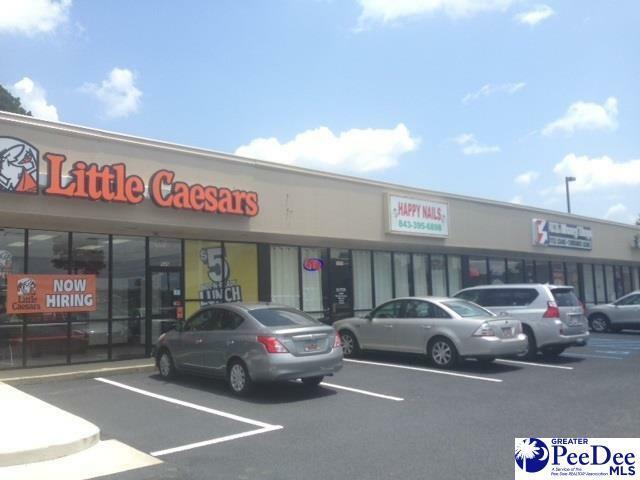 Approximately 1800 space in a center with a new Little Ceasar's pizza, Global Communication cell phone place, and nails shop.